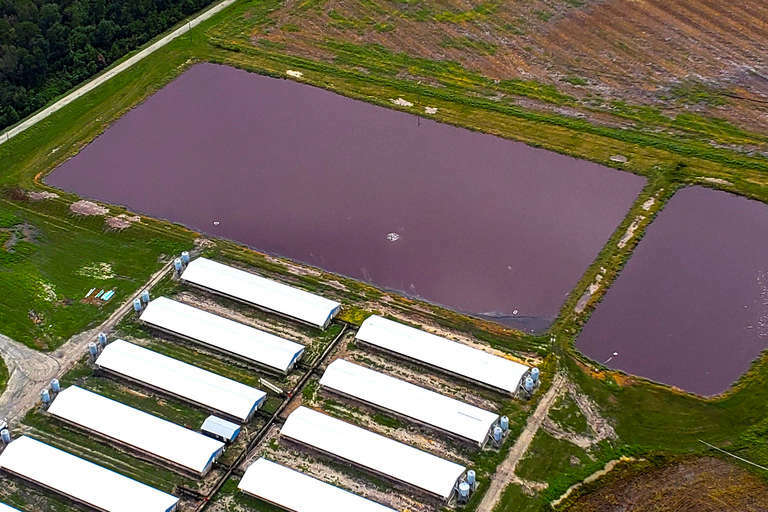 T	T	he flooding that followed Hurricane Florence put a national spotlight on the farms that house millions of hogs in North Carolina and the open-air lagoons of hog waste they produce. 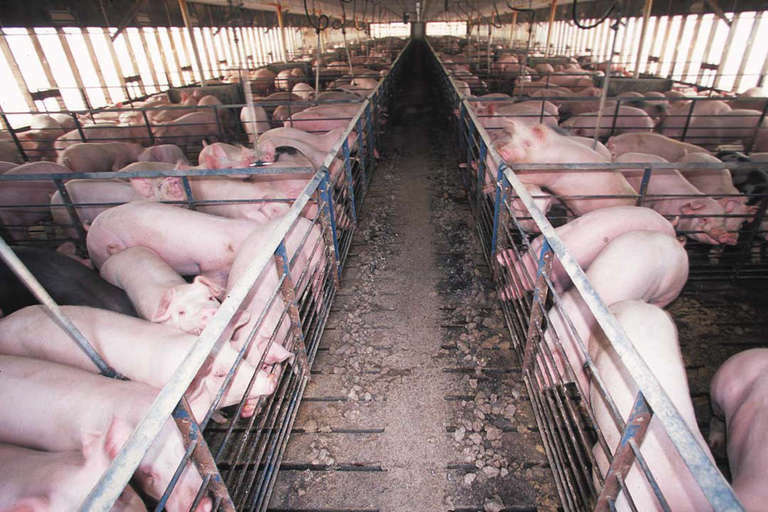 The state’s hog farms are home to about 9 million pigs, outnumbering people in some counties by nearly more than 25-1. These animals generate billions of pounds of urine and feces a year, which are usually stored in large anaerobic pits where microorganisms break down the waste, which is then sprayed on fields as fertilizer. Dozens of these lagoons discharged after being inundated by rains from Florence, sparking fears of untreated animal waste contaminating local water supplies and spreading disease. But the issue isn’t news to people who live near those farms. They have complained about them for years — and now doctors at Duke University are raising alarm about the health of these residents. A new study by Duke’s Environmental Health Scholars Program has found higher adult death rates, infant mortality, emergency room visits, and hospital admissions for people living around the largest farms, which have about 560 hogs per square mile. The numbers among children are particularly worrisome, said Dr. Julia Kravchenko, a physician and the study’s lead author. Not only are infant mortality and low-birth-weight babies more common in those communities, but children in those ZIP codes have higher rates of asthma — “Much higher than in the rest of North Carolina,” Kravchenko told Seeker. Using national data, Kravchenko and her co-authors compared rates of illness in ZIP codes around large farms to those in communities that don’t have those operations nearby. They found people living near large hog operations in North Carolina had 50 percent higher death rates from anemia and about a third higher from kidney disease than in communities with no hog farms nearby. Both illnesses can be a sign of exposure to toxins. They had higher rates of hospitalizations or emergency room visits for tuberculosis and septicemia, the study found, and more children born with low birth weights. The numbers were higher not only compared to communities with no hog farms, but those neighborhoods with smaller farms nearby. The research looks at overall numbers, not individual cases, so it can’t say that the ailments were caused directly by exposure to contaminants from hog farms. But even when other factors like income, access to health care, or smoking rates matched up, “We still have increased risks for certain diseases in this area,” Kravchenko said. North Carolina communities also had higher rates of those illnesses than communities in two other big pork-producing states, Iowa and Minnesota, she said. The reasons behind that difference may be the subject of a follow-up Duke study. Kravchenko’s paper was published in the North Carolina Medical Journal in September, just days after Florence came ashore near Wilmington. The storm dumped an average of 17.5 inches of rain over a 14,000-square-mile stretch of the Carolinas, swamping towns in the low-lying coastal plain. More than 30 lagoons of hog waste overflowed as a result, according to the state Department of Environmental Quality. 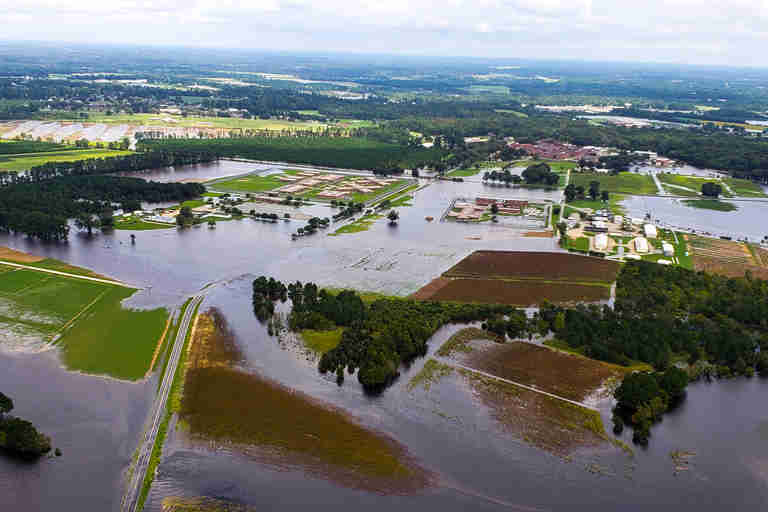 Some parts of the state also saw heavy rains this week from Tropical Storm Michael, which dumped several more inches of rain on the Carolinas after slamming into the Florida Panhandle as a Category 4 hurricane. The North Carolina Pork Council, which represents the state’s hog farmers, did not respond to requests for comment on the study. Kravchenko’s findings aren’t surprising to people like Naeema Muhammad, who has fought for tighter regulations on large farms for years. “I don’t wish this crap we’re dealing with on nobody,” Muhammad, the co-director of the North Carolina Environmental Justice Network, told Seeker. In communities near the farms, she said, “the air stinks all the time,” and people complain of nausea, headaches, skin rashes, and watery eyes. Previous studies have documented high levels of bacteria associated with hog waste in waterways near farms. North Carolina recently settled an EPA complaint brought by Muhammad’s organization against state regulators, arguing that the concentration of large hog farms in largely African-American, Latino, and Native American communities amounted to a civil rights violation. In May, Muhammad was named to a state board advising the DEQ on environmental justice issues. While juries have hit pork producers with multi-million-dollar verdicts in nuisance lawsuits over their practices, the state legislature has passed laws to make future lawsuits harder to bring. Dr. Kim Lyerly, one of Kravchenko’s co-authors, said that the new findings can help policymakers and community leaders try to find ways to tackle the health problems the study documented. The university is hosting a forum in early November to discuss the findings and their applications. But Lyerly said that health agencies should be looking for steps “we can apply right now” to address the high rates of disease seen in these communities.